Our Vision: Fully and integrally developed human persons and communities, living in an environment that is truly human. Mission: To express God’s love for mankind by continuing Christ’s work of liberation and enabling each person to have life in abundance through programmes that meet the people’s real felt needs. 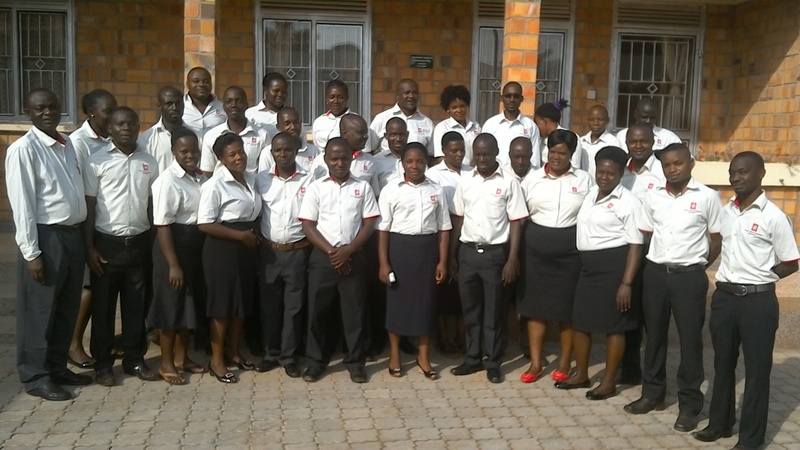 Hoima Caritas Development Organization (HOCADEO) is the social services department/ development arm of Hoima Catholic Diocese. Over 30 of years of service in Hoima diocese, HOCADEO has diligently served people with numerous projects/programs in the areas of Gender relations, Sustainable Agriculture, Nutrition, Environmental conservation, HIV prevention, Micro loan schemes all of which have contributed to the integral development of people in the Diocese of Hoima. HOCADEO has different approaches/methodology like community sensitizations, trainings, community resource persons, with the local communities, Information Education Communication materials like T-shirts and posters, Drama shows, Demonstrations, Radio programs, Advocacy coalitions to mention but a few. 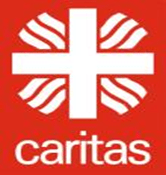 The diocese through caritas has also been working in partnership within other development agencies like Caritas Norway, Caritas Uganda, Misereor, Harvest Plus, IDI, and Swiss hand in the region. Strategic partnerships have been established for improved service delivery with local civil society organizations in the diocese. It is key to note that some of the needs identified by the government may be similar to what caritas has targeted especially under the Poverty Eradication Action Plan (PEAP) therefore, Caritas Hoima is doing a complementary role in the region. The same needs and priorities have been and are clearly highlighted in the strategic plan of HOCADEO. 1. Improve access of the population in the Diocese to poverty reduction (development) programmes with particular attention to increasing effective access for poor, the difficult to reach otherwise disadvantaged. 2. Improve the quality of delivery of services, implementation and management of development programmes under Hoima diocese. 3. Reduce inequalities between various segments of the population and geographical areas (parishes) with the Diocese. Developing and delivering bio-fortified crops(DDBC). The project promotes bio-fortified crops and mainly orange sweet potatoes rich in vitamin A and beans high in Iron. The crops are promoted in Kibaale district with vine multiplies in both Hoima and Kibaale districts. Farmers are trained in nutrition, value addition (sweet potato flour, cakes, chapatti and donuts) and marketing of the products. Integrated program for good governance and sustainable livelihoods (IPGSL). The project operates in Hoima and Masindi districts. IPGSL has four thematic areas i.e Good governance, livelihood promotion Environmental conservation and HIV prevention. Reached out to 1543 households since 2013. Support to farmers with farm inputs and trainings on other thematic areas has been done under the program. Hoima Caritas Chicken project (HOCACHICK). A brain child of HOCADEO to improve poultry services in Bunyoro sub region. The center produces day old kuroiler, broiler and layer chicks. Production of Chicken feeds and hatching eggs for farmers at a subsidized price. Hoima Sustainable Agriculture Program (HSAP). The program is currently operating in Kibaale in Burora, Kyenzige, Rugashari and Kyakabadima Sub-counties. It promotes sustainable organic farming. The program is currently working with 200 families emphasizing value addition. Gender and women development organization (GWDP). The program operates in Kibaale district in Burora, rugashari and Kyakabadima Sub-counties. The program promotes gender relations in families, Home hygiene and sanitation, savings at group level. The program has constructed water sources in these help communities access clean water. PROMIC (Promotion of micro entrepreneurs). This project helps women with small businesses access loans to facilitate their expansion the project has region one in Hoima and region two Kibaale. PICS bag project. This projects helps farmers access storage bags that are air tight .the bags can store grain for a period of over 6 months. The bag costs 8000 and can be reused multiple times. This has facilitated bulking and helped farmers to get better prices from their produces. The project is in Hoima, Kibaale, Masindi and Kiryandongo districts. The Ugandan Academy for Health innovations under the Infectious Diseases Institute (IDI). The project focuses on HIV/AIDS prevention and mitigation in 2000 Most At Risk Populations (MARPs) of Kabwoya sub county Hoima district. Promotion of Livelihoods for People Having AIDS (PHAs), awareness creation and increased uptake of HIV/AIDS services are the areas of focus for the project. Enhanced civic knowledge among community participants in areas of advocacy, lobbying, human rights and democracy. Improved livelihoods of Farmer communities and organized associations/groups fully registered at the sub county and district level. Encouraged farmers to undertake Farming As a Business (FAB). Increased the capacity of beneficiaries to mobilize savings through VSLAs and start up local enterprises. Improved farmer knowledge in marketing and bulking and linkage to potential business partners. Improved household hold hygiene and sanitation among beneficiaries. Increased HIV/AIDS prevention and mitigation awareness among communities. Built capacity of farmer associations in advocacy for better roads, increased budgetary allocation to the agriculture sector and climate change among others. Improved nutrition through supplementary fortified foods and Kitchen Gardens.